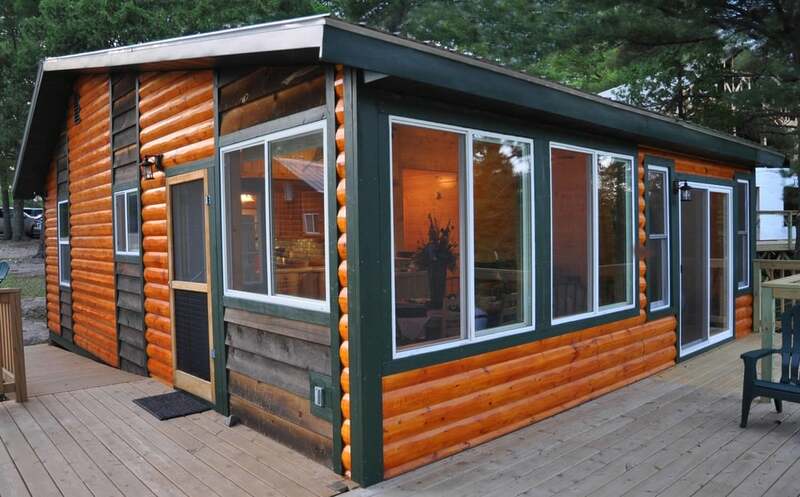 Two bedrooms cabin for rent on White Iron Lake near Ely Minnesota featuring wrap around deck and gourmet kitchen. Two bedrooms with one queen sized bed in one bedroom and 2 double beds in the other. Also queen-size sleeper sofa. Sleeps 6. 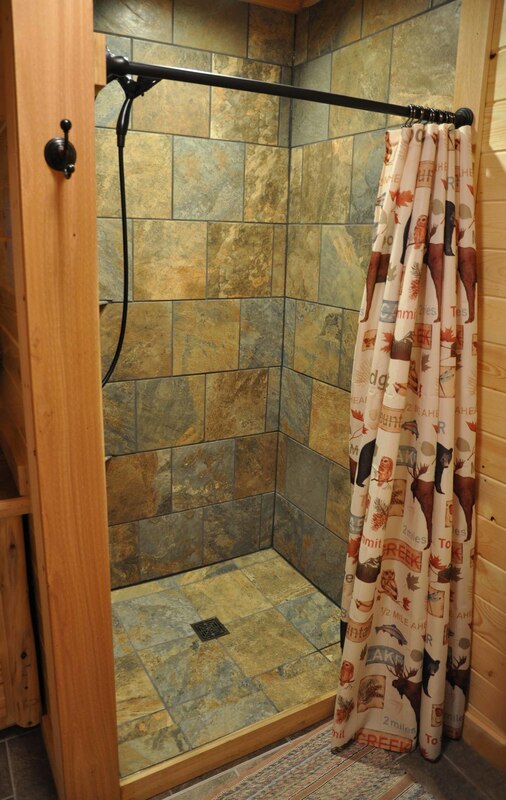 Large bathroom with tile shower. There is an additional 1/2 bath in the bedroom with the two doubles. Big, modern kitchen. Knotty pine ceilings and walls. This smoke free cabin has an awesome view of White Iron Lake from the large windows in the kitchen and living areas and from the wraparound deck. Satellite HD television. This is a NO PETS ALLOWED cabin. This is a non smoking rental. Cabin 23 is rented through our neighbor, White Iron Beach Resort. To reserve this cabin or to check availability, click on Check Availability below. For more information, click the Information/Reservations link at the bottom of the page. You can also email Sandy or Kerry at info@whiteironbeach.com or call them at (877) 665-4885 or (218) 365-4885. Ask for Cabin 23!